A book review of The Curious Charms of Arthur Pepper. Post may contain affiliate links. 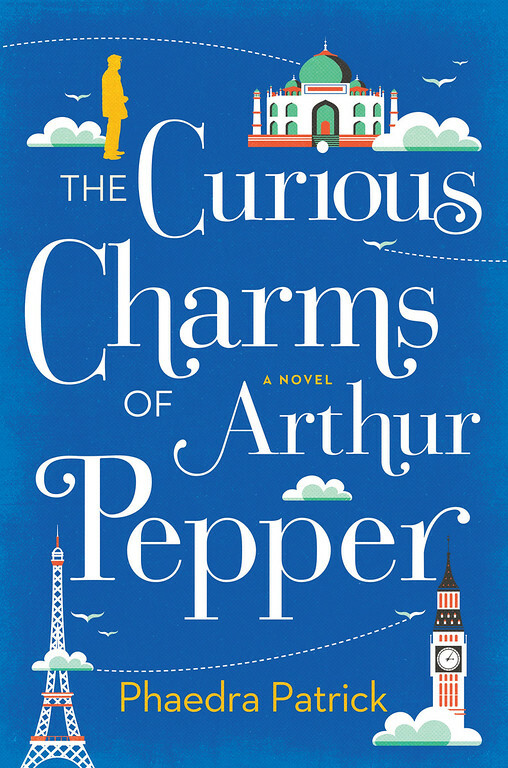 After finishing a very scary psychological thriller, I was in the mood for something charming and The Curious Charms of Arthur Pepper by Phaedra Patrick sounded like a good choice. It was. It was absolutely just what I was in the mood for. The story opens with Arthur Pepper in his lonely house. After his wife of 40 years, Miriam dies, Arthur doesn’t really have much to live for anymore. He is somewhat estranged from his children, and even helpful neighbors aren’t enough to pull him out if his slump. Finally deciding to clean our some of his wife’s things, he finds a strange small jewelry box stuffed into one of her shoes. Opening it, he finds a beautiful, old charm bracelet. Something that he never saw Miriam wear ever. It was not the kind of bracelet he would ever guess that she owned, she seemed so simple to him. Looking closely at one of the charms, an elephant, he sees a phone number. Curiosity gets the better of him and he decides to call it. It turns out to be a number in India. When he stumbles through an introduction, he mentions his wife’s name and is surprised to learn that they know of Miriam. With nothing else to do in his life, he makes plans to travel to India. Totally out of his comfort zone, he proceeds to track down the meaning of the charms. While learning more about the past of his wife, he also begins to learn a thing or two about himself. This book was totally charming. I loved watching Arthur grow as he learned more and more about what his wife was like before he met her and what his life can be like now that she is gone.